Well, I am a bit sick with a cold, which isn’t much fun. Especially because it’s a beautiful sunshiny weekend out there. I hate being sick during nice weather. 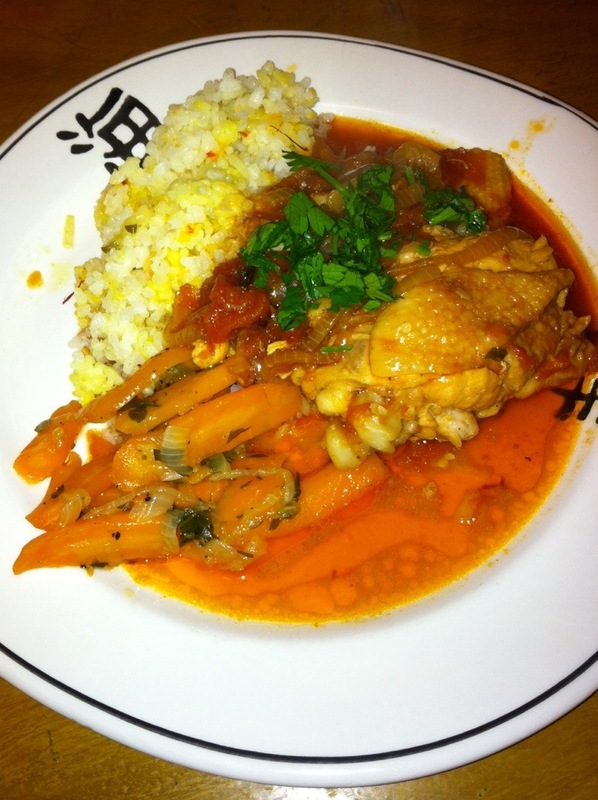 I made braised chicken and braised carrots with fancy pants Spanish saffron rice.